ANGELA & ROI: GOLD HANDBAGS WITH A PURPOSE! Angela & Roi Handbags is founded on the belief that businesses have a responsibility to utilize their resources to positively impact the greater community around them, and have dedicated their company to the powerful combination of fashion and philanthropy. They believe in using their passions to create and support a “Do Good” mission, and through their “Donate by Color” initiative, Angela & Roi donates to the ACCO $5 for every gold handbag sold! Each gold handbag is complimented by a tasteful gold ribbon in support of the ACCO’s mission to bring ever-greater awareness to the Gold Ribbon and its symbolic role in the fight against childhood cancer. Angela & Roi chose to work with the ACCO because of its steadfast dedication to this meaningful cause through the creation of the highest quality programs, the positive impact it has on the daily lives of children with cancer, and its strong follow-through mentality. Angela & Roi honors the core mission of the ACCO: helping childhood cancer fighters, survivors, and their families, while continuing to raise awareness of this devastating disease as the foremost cause of disease-related deaths among children in the United States today. Moreover, Angela & Roi supports the ACCO’s holistic, comprehensive view of its mission: supporting children and families from diagnosis right through treatment, bereavement and survivorship, fighting for more effective treatment protocols, and bringing greater national and even international awareness to this underrepresented disease. Angela & Roi want to express their “thanks” to the ACCO, and to everyone supporting a “Do Good” message across the globe! 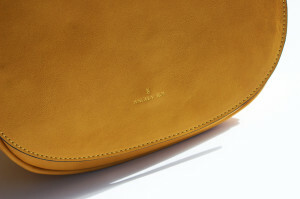 Angela and Roi is a classic yet minimal handbag brand dedicated to uniting charity and style. The upside down ribbon logo symbolizes Angela & Roi’s core philosophy: the powerful combination of innovation, creativity, style, and philanthropy. Angela & Roi believe that a good handbag is more than just something you carry; it’s a confident, self-expressive statement to the world, and as such, should be both high quality and affordable! Its bags are meticulously designed to be classic and modern, and are made from the highest quality vegan (animal friendly) leather and the most durable, beautiful fabrics. More importantly, Angela & Roi was founded on strong moral principles, dedicated to making a positive impact on the greater community. Through its “Donate by Color” movement, by selling color-specific bags accompanied by a classic color awareness ribbon, it is committed to supporting charitable organizations who fulfill a critical role promoting high quality programs in health-related areas such as childhood cancer. And through The Ribbon Project, it strives to help these organizations bring encouragement to individuals battling critical health problems. In partnership with the ACCO, the purchase of a gold handbag enables Angela & Roi customers to leave motivational comments for a child currently undergoing cancer treatment. These comments are then lovingly converted to hand-written notes and mailed, through the ACCO, to the child they were intended for. At Angela & Roi, we believe there is more than one way to make a difference! We appreciate your willingness to support our core mission to “Do Good” and assist quality charitable organizations like the ACCO. To purchase an Angela & Roi Handbag with a Purpose, Click Here.